Click here to RSVP so we can provide treats for all! 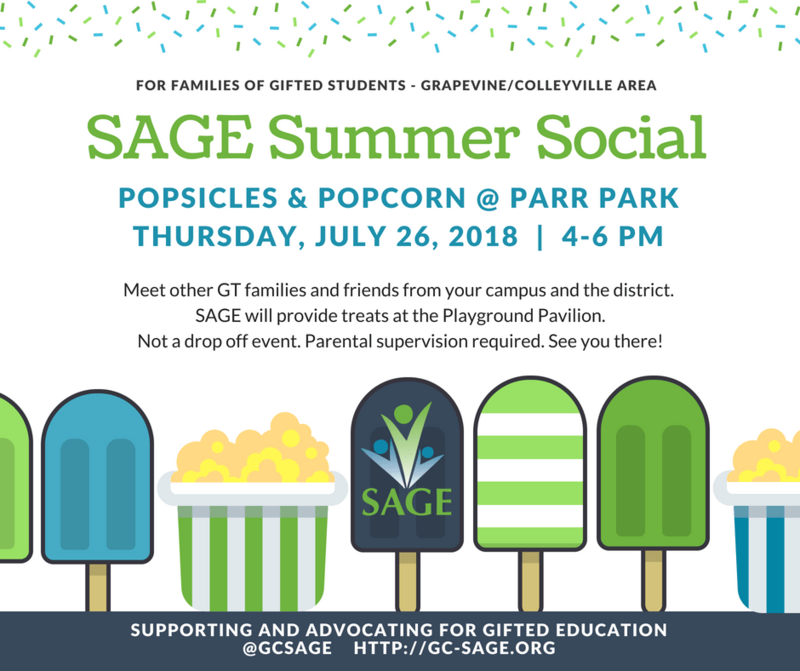 Families of gifted students in the Grapevine-Colleyville area are invited to the SAGE Summer Social! Join us for “Popsicles & Popcorn at Parr Park” on Thursday July 26, 2018 from 4:00 to 6:0o p.m. Meet other GT families and friends from your campus and the district. SAGE will provide treats at the Playground Pavilion. Not a drop off event. Parental supervision required.